Health & Fitness How do I skip rope like a pro? Most of us have probably jumped rope at some point in our lives, probably on a playground when we were children. Watch any boxer do it, however, and you’ll immediately see the difference between being able to do something and doing it well. Who wouldn’t want to skip with the graceful efficiency of Rocky Balboa or Apollo Creed? The skipping rhythm of bouncing on the balls of your feet while keeping your hands and shoulders loose is essential for life in the ring. But even if you have no interest in boxing, skipping is still a great workout to improve your cardio, balance and co-ordination. “You burn more calories skipping than you do running,” Thomas says. So, how do you do it like a pro? Keep your elbows in with your hands just below your waist. To find the best rhythm, don’t hop with both feet in unison. “Start hopping almost like you’re running so you’re jumping back and forth between your left and your right,” Thomas says. And lift your knees high, ideally up to waist height to improve your co-ordination and rhythm. You’ll probably look “dumb” the first three or four times you try, Thomas says. That’s when most people give up. But by the fifth time, if you put in about 15 minutes per session, you’re likely to have a breakthrough. After that, try a few tricks. 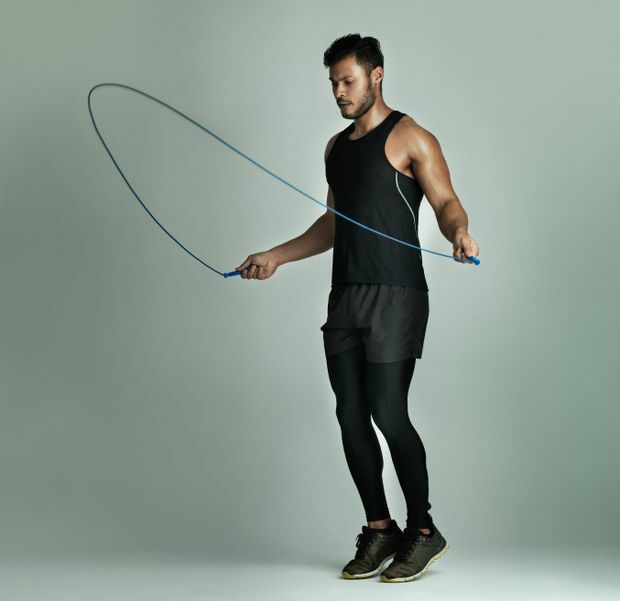 Thomas recommends double-unders, when the rope goes under your feet twice per jump, and crossovers, where you cross your arms in front of yourself like an “X” and jump through the loop. “The trickier you get, the more in tune you get with the rhythm,” Thomas says. You’ll also look like you know what you’re doing, unlike all those years ago on the playground. How do I strengthen my obliques?